and event venue for over 30 years. A unique lunch or dinner experience with sweeping views of Toronto Harbour. Say “I Do” from a different point of view in a different type of venue! Transform your ordinary celebrations into extraordinary memories! Enjoy a Toronto boat cruise as a relaxing way to spend some time on the water with friends, family or business associates. Why not enjoy that time and the beauty of the Toronto Harbour while onboard one of our two luxurious cruise ships. Come fill your senses with the spectacular city skyline, delicious food and beverages, the warmth of the summer breezes, and the sounds of the wildlife as we cruise by the many famous Toronto attractions. Yankee Lady Cruises own and operate two cruise boats, Yankee Lady III and Yankee Lady IV which were built in Toronto specifically for cruising the harbour and Lake Ontario. 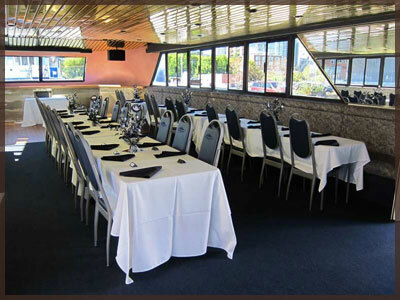 We specialize in private events including weddings, corporate events, company socials, anniversaries, bar/bat mitzvahs, proms, and dinner cruises from April 15th. to October 31st. of each year. 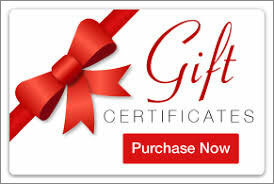 We are a full service venue offering quality, customized menus prepared by our professional chefs. We can accent your party with a custom décor package, live entertainment, or a theme package to fit your event. Whether you need floral centrepieces, chair covers, a casino or a magician, we can help. With over 30 years of experience, let our professional and friendly crew customize your special event to suit your every need. We are sure to impress your entire party! 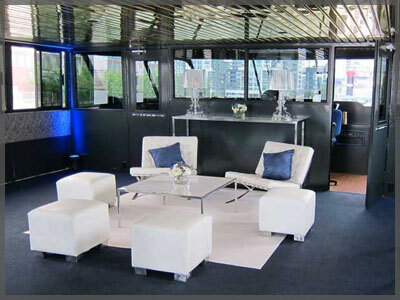 For more information about planning a Toronto boat cruise with us call 416-868-0000.